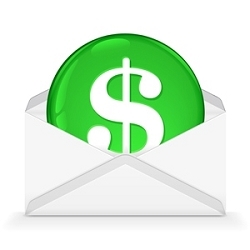 Create an Invoice for Postage & Processing fees to be applied to your Certified Mail Labels account. (This option should only be used if you wish to fund your account by check or wire transfer). Choose "Check - Purchase Order" when choosing your payment option. If you need us to email you a PDF version, call us at 800-406-1792 ext 707. If you would like to pay by credit card, you may do so directly in your Certified Mail Labels account. Paying by credit card will allow you to begin creating Certified Mail labels/address inserts immediately. CertifiedMailLabels.com is an online service that allows users to generate Certified Mail, Priority Mail, and Express Mail labels/address inserts online. We are an approved vendor and partner with the United States Postal Service and have worked with them to make the process of sending Certified Mail easier by using PC Postage online. There are no monthly fees, no forms peel & stick, and no software to install. Everything is web-based and all records, including Electronic Return Receipt Signatures (RRE), are stored securely in your account for 10 years.